Photograph of Hon. Second Subaltern Princess Elizabeth, later Queen Elizabeth II, dressed in overalls as part of her training in the A.T.S., takes the spark plugs out of a car. A large garage with doors is visible in the background. 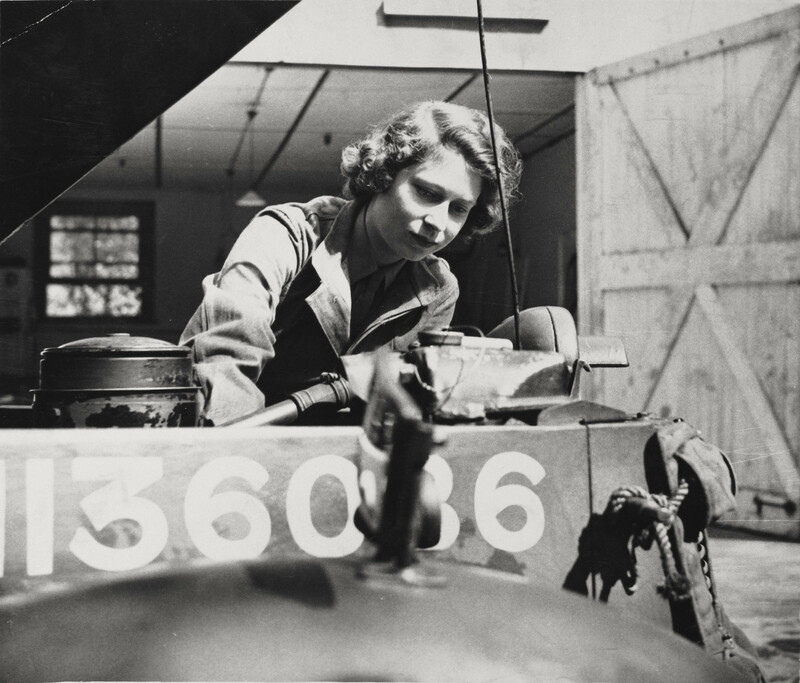 Princess Elizabeth joined the Auxiliary Territorial Service at her own insistence in 1945, aged 18, as a Subaltern. By the end of the war she had reached the rank of Junior Commander, having completed her course at No. 1 Mechanical Training Centre of the ATS and passed out as a fully qualified driver. This image was published in 'Queen Elizabeth II A Birthday Souvenir Album' in 2006.